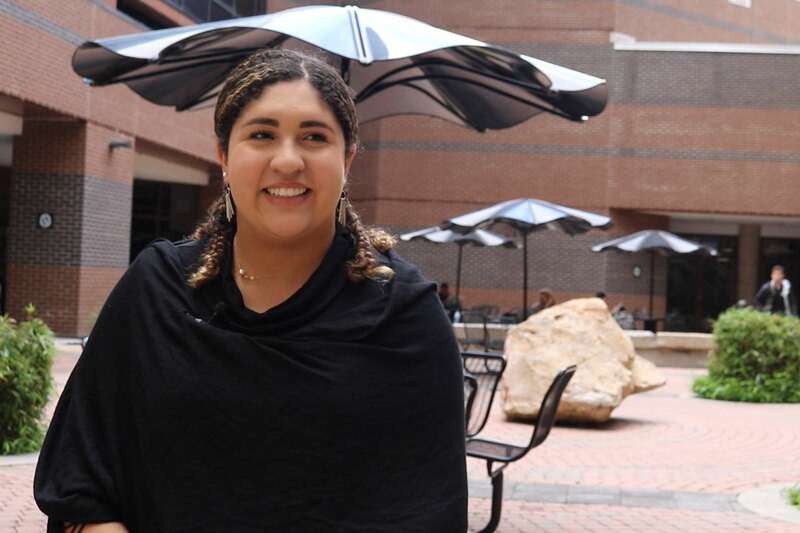 Now a member of four organizations on campus, Karla Santiago says she found a second home at UCF after leaving Puerto Rico. Karla Santiago, a pre-marketing major, Santiago is one of 244 UCF students who left Puerto Rico after Hurricane Maria. When Hurricane Maria barreled through Puerto Rico as a Category 4 storm in September 2017, Karla Santiago reached a major turning point in her life. Maria devastated Santiago’s island, destroyed her mother’s small business and caused millions of dollars in damages to the University of Puerto Rico where she went to school. But Santiago turned the devastation and chaos around her into a catalyst to chase her dream of moving the mainland United States to finish her education and eventually pursue a marketing career. Santiago is one of 244 UCF students who left Puerto Rico after Hurricane Maria. While the storm expedited Santiago’s journey to Central Florida, she also sought to relocate as the University of Puerto Rico grappled with student protests and strikes that cancelled classes for months. A pre-marketing major in her junior year, Santiago is heavily involved on campus. She is a member of four student organizations including the Puerto Rican Student Association, Sales Club, American Marketing Association and the Delta Sigma Pi professional business fraternity. She also holds an internship at CDW Corporation, a technology company, and helps multicultural and first-generation students transition to UCF as part of the university’s Multicultural Academic and Support Services. Daniel Botero ’12, a College of Business alumnus and senior account manager with Vinali Staffing, provides mentorship and career advice to Santiago. The two met through Delta Sigma Pi, where Botero is president of the fraternity’s alumni chapter. As a Hurricane Maria evacuee, Santiago receives a reduced, in-state tuition rate thanks to a decision by UCF’s Board of Trustees. The lower tuition rate was set to expire next year, but the board moved to extend the offer through 2023 following an impassioned plea from Santiago and other members of the Puerto Rican Student Association at the board’s September meeting.